Attend our worship services at Ephesians of Richmond, a Pentecostal church. Our church leaders provide various religious activities that are meant to help strengthen your faith in the Lord. Whether you want to rekindle your relationship with God or simply want to hear the Gospel, our church is open to you. If you have questions about our Pentecostal church, don’t hesitate to get in touch with us using the phone number or email address listed on this website. One of our representatives will get back to you as soon as possible. We look forward to hearing from you! Ephesians Church of God In Christ was founded in January 1958 at 1549 7th Street, in San Pablo, California by the late Superintendent Jack P. Spicer, Sr. With nightly prayer, much fasting, and meditating by the pastor and his wife, Mrs. Lettie Spicer, the church began to flourish. As the membership grew, the church became known as the “Swinging Church” because of the way the floor swayed when the saints began to praise the Lord with the shout and dance. Therefore, will we give thanks to the O Lord and sing praises unto thy name (Psalm 18:49). In 1967, Ephesians moved to a larger building at 419 Mac Donald Avenue where the Lord continued to bless them in a marvelous way, and many souls were saved from off the streets. In 1978, Ephesians moved to the present location. Here, the Lord has given an increase both naturally and spiritually, continually daily on one accord, praising God. And the Lord added to the Church, such as should be saved (Acts 2:47). Under the great teaching of the pastor, our brothers and sisters have been evaluated to a higher calling; “going out to spread the gospel.” Missionaries who started here have gone on to become District Missionaries. Ministers and Elders who began their ministry here have become pastors and superintendents, and are continuing in the strength of the Lord. And he gave some, apostles; and some, prophet; and some, evangelists; and some, pastors and teachers; For the perfecting of the saints, for the work of the ministry, for the edifying of the body of Christ (Ephesians 4:11-12). Spring 1994, Ephesians Church of God In Christ was the subject of the exhibit “Through It All” at the Richmond Museum of History. The Mirror, The Richmond Museum Association Newsletter, told the story of the church origins and evolution; the exhibition combined historical photographs with reminiscences of older church members. 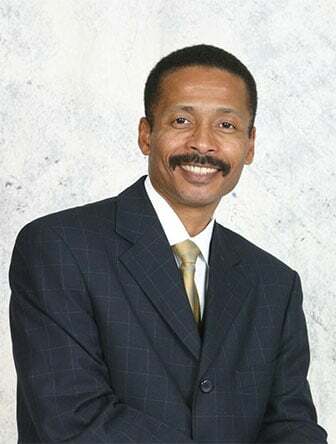 Sustained by faith in 1999, Bishop W.W. Hamilton of the California Northwest Jurisdiction Church Of God In Christ, Inc., appointed Elder Louis B. Spicer, Jr. as the pastor of Ephesians Church of God In Christ, Inc. Under the prayerful leadership and guidance of Pastor Louis B. Spicer, Jr., along with the dedicated and loyal members, our Pentecostal Church is continuing to grow. Pastor Louis Spicer, being moved by the spirit of the Lord, spoke with the Ephesians family concerning the building renovation of the current edifice. God has touched the hearts of the people to pledge and give with the pastor leading the building fund. Except the Lord build the House, they labor in vain that build it (Psalm 127:1). Due to the geographical economical changes in the local urban community, the Evangelist department, with the approval of the pastor, realized the great need to reach out and provide services that would benefit the community. Just to name a few, services provided are feeding in the homeless shelter and local surrounding communities, visitation of the convalescent hospital, also prisons ministry visitation, and services render at the San Quentin Prison, and street evangelism. Our Pentecostal Church endeavors to do God’s will, serving the people of the community and bringing souls to Christ. “For I am not ashamed of the gospel of Christ: for it is the power of God” (Romans 1:16). WE BELIEVE that there is one God eternally existent in three persons; God the Father, God the Son, and God the Holy Spirit. WE BELIEVE in the Blessed Hope, which is the rapture of the Church of God which is in Christ, at His return. WE BELIEVE that the only means of being cleansed from sin is through repentance; faith in the precious Blood of Jesus Christ. We believe that regeneration by the Holy Ghost is absolutely essential for personal salvation. Proclaiming “The Gospel of Peace” to a society of diverse cultures. Transforming lives of men and women unto a total and complete being by “The Gospel of Light,” through Christian education, Christian community services, multicultural fellowship, Pentecostal worship, and world evangelism. Purchase two acres of land surrounding the existing church, renovate, and expand the existing sanctuary. Constructing a new Family Life Center on the site that the Ephesians Community Development Center will provide the following functions: Christian academy, education, and counseling, child care, youth ministries, housing services and the Ephesians church ministries. Superintendent Jack P. Spicer, Sr.
Elder Jack Paul Spicer, a son of Methodist farmers, was born on April 14, 1917 to Wilkins and Josephine Spicer in Roe, Arkansas. He was born into a family of one older brother and six sisters. Elder Spicer had always said that he thought the Holiness Church was too strict. But when he was 21 years old, after being truly converted in the Baptist Church, he sought and found the Lord Jesus Christ in the Holiness Church where his mother and two of his sisters belonged. He got saved and joined his mother's church, Round Pond Church of God in Christ in Round Pond, Arkansas where Elder E.M. Day was the pastor. Elder Spicer had heard about Bishop Mason and the Convocation that was being held in Memphis, TN about 50 miles away. He went and it was there that he received the baptism of the Holy Ghost during a midnight service when Elder Utah Smith was in charge. Our founder met and later married Lettie Mae Stanton on April 14, 1940. Missionary Lettie Mae Stanton had joined Earle Church of God in Christ in Earle, Arkansas when she was 15 years old. Elder Minas Jones was her pastor. After belonging to Round Pond Church of God in Christ for five years under Elder Day, Elder, and Missionary Spicer, along with their family moved to Richmond, CA. After moving to Richmond, Elder and Missionary Spicer placed their membership at McGlothen Temple under the late Bishop George W. McGlothen. 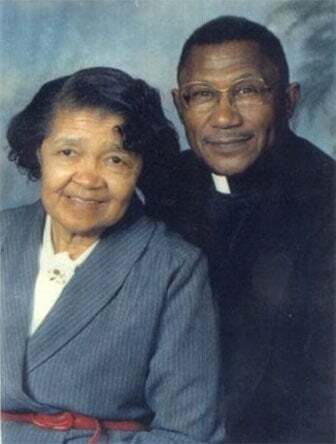 For fifteen years they remained active members of McGlothen Temple until Elder Spicer founded and became the pastor of Ephesians of Richmond Church of God in Christ in 1958. Pastor Spicer served so well that he was selected to serve as Assistant Superintendent of the Richmond District. A few years later, the hand of the Lord moved and our founder was again selected to assume the responsibility that goes along with the office of Superintendent of the Richmond District, California Northwest Jurisdiction under the late Bishop Clarence J. Davis. Elder Spicer, who was lovingly referred to as “The Shepherd,” and his wife, served and cared for Ephesians for 39 years. Missionary Spicer was his help-mate down through the years. She was his wife for 56 years and the First Lady of Ephesians for 39 years. Many lives were changed and enriched by God through Elder Spicer's ministry. God's word and His love have spread far and wide via a number of lay members born into this church who subsequently became ministers, elders, missionaries, pastors, and superintendents, and are, even now, successfully spreading God's Word. Elder Louis B Spicer, Jr. is the grandson of the late Superintendent Jack Spicer and nephew of the late Superintendent Joseph Turner of Bethel Temple PAW. Groomed from his teens, he worked with his father in the home building and car industry. After graduating from Woodland High, he worked with various architects as an architectural designer since 1984 and in 1990. He established LBS Design and Planning located in downtown Oakland, California. In 1994, he became registered with the State of California Architectural Examiners Board as Associate Architect with Mark Lindquist of Lindquist Construction and Bay Area Chapter President of the Association of General Contractors. He studied architecture at Woodbury University of Burbank, California and California College of Arts of San Francisco, California. Elder Spicer received the Baptism of the Holy Ghost in 1980 during the Saints University Crusade in Berkeley CA, and served in his local church as Youth Department President, Inspirational Choir President and Director. He was called to ministry in 1991, ordained an Elder in 1996, and served as Youth Pastor and Trustee Board Member. He served as Richmond District Youth and Young Adult Choir President, District YPWW President, and Youth Coordinator of California Northwest Jurisdiction Youth Department. In 1996, the late Superintendent J. P. Spicer elevated him to Assistant Pastor and shortly after Superintendent J. P. Spicer calls to Glory, with unanimous vote Elder Spicer was appointed pastor of Ephesians of Richmond January 1998. After receiving the mantel of his grandfather and transitioning from Los Angeles, Pastor Spicer desired to effectively equip himself for ministry and enrolled in a Historical Black College & University in 2010 and May 2015. Pastor Louis Spicer graduated with Honors holding a Bachelors of Arts Degree in Religious Studies at Hampton University in Hampton Virginia. In fall 2015, he was accepted in the School of Divinity at Regent University, Virginia Beach, Virginia pursuing a Masters of Divinity with an emphasis in the Market Place. In January 2016, Elder Spicer was elected to serve as a Community Advisory Board (CAB) Member of Contra Costa County Community Corrections Partnership (CCP) Reentry Program. Embarked upon a secured foundation as a visionary leader, Ephesians burned the mortgage in March of 2003. In November 2007, renovations began on the existing facility. Immediately, Pastor Spicer established the following ministries: Prison Ministry, Care for the Harvest, Convalescent Ministry, and the Bethesda Homes for Men and Women. A faith-based, non-profit organization, Ephesians Community Development Center was incorporated in 2003. Pastor Spicer is committed to the Kingdom of God and those God has commissioned him to serve. He is a humble and peaceful servant that would give all for the sake of the Gospel of Jesus Christ and the Church; and, it is exhibited in his mannerism of expository teaching and preaching and his exuberant worship. We believe in God, the Father Almighty, the Author and Creator of all things. The Old Testament reveal s God in diverse manners, by manifesting His nature, character, and dominions. The Gospels in the New Testament give us knowledge of God the "Father" or "My Father," showing the relationship of God to Jesus as Father, or representing Him as the Father in the Godhead, and Jesus himself that Son (St. John 15:8, 14:20). Jesus also gives God the distinction of "Fatherhood " to all believers when He explains God in the light of "Your Father in Heaven" (St. Matthew 6:8). We believe the Holy Ghost or Holy Spirit is the third person of the Trinity; proceeds from the Father and the Son; is of the same substance, equal to power and glory; and is together with the Father and the Son, to be believed in, obeyed, and worshiped. The Holy Ghost is a gift bestowed upon the believer for the purpose of equipping and empowering the believer, making him or her a more effective witness for service in the world. He teaches and guides one into all truth (John 16:13; Acts 1:8, 8:39). We believe that the Baptism of the Holy Ghost is an experience subsequent to conversion and sanctification and that tongue-speaking is the consequence of the baptism in the Holy Ghost with the manifestations of the fruit of the spirit (Galatians 5:22-23; Acts 10:46, 19:1-6). We believe that we are not baptized with the Holy Ghost in order to be saved (Acts 19:1-6; John 3:5). When one receives a baptismal Holy Ghost experience, we believe one will speak with a tongue unknown to oneself according to the sovereign will of Christ. To be filled with the Spirit means to be Spirit controlled as expressed by Paul in Ephesians 5:18,19. Since the charismatic demonstrations were necessary to help the early church to be successful in implementing the command of Christ, we, therefore, believe that a Holy Ghost experience is mandatory for all believers today. We believe that humankind was created holy by God, composed of body, soul, and spirit. We believe that humankind, by nature, is sinful and unholy. Being born in sin, a person needs to be born again, sanctified and cleansed from all sins by the blood of Jesus. We believe that one is saved by confessing and forsaking one's sins, and believing on the Lord Jesus Christ, and that having become a child of God, by being born again and adopted into the family of God, one may, and should, claim the inheritance of the sons of God, namely the baptism of the Holy Ghost. Sin, the Bible teaches, began in the angelic world (Ezekiel 28:11-19; Isaiah 14:12-20) and is transmitted into the blood of the human race through disobedience and deception motivated by unbelief (1 Timothy 2:14). Adam's sin, committed by eating of the forbidden fruit from the tree of knowledge of good and evil, carried with it permanent pollution or depraved human nature to all his descendants. This is called "original sin." Sin can now be defined as a volitional transgression against God and a lack of conformity to the will of God. We, therefore, conclude that humankind by nature is sinful and has fallen from a glorious and righteous state from which we were created, and has become unrighteous and unholy. We therefore, must be restored to the state of holiness from which we have fallen by being born again (St. John 3:7). Salvation deals with the application of the work of redemption to the sinner with restoration to divine favor and communion with God. This redemptive operation of the Holy Ghost upon sinners is brought about by repentance toward God and faith toward our Lord Jesus Christ which brings conversion, faith, justification, regeneration, sanctification, and the baptism of the Holy Ghost. Repentance is the work of God, which results in a change of mind in respect to a person's relationship to God (St. Matthew 3:1-2, 4:17; Acts 20:21). Faith is a certain conviction wrought in the heart by the Holy Spirit, as to the truth of the Gospel and a heart trust in the promises of God in Christ (Romans 1:17, 3:28; St. Matthew 9:22; Acts 26:18). Conversion is that act of God whereby He causes the regenerated sinner, in one's conscious life, to turn to Him in repentance and faith (II Kings 5:15; II Chronicles 33:12,13; St. Luke 19:8,9; Acts 8:30). Regeneration is the act of God by which the principle of the new life is implanted in humankind, the governing disposition of soul is made holy, and the first holy exercise of this new disposition is secured. Sanctification is that gracious and continuous operation of the Holy Ghost, by which He delivers the justified sinner from the pollution of sin, renews a person's whole nature in the image of God, and enables one to perform good works (Romans 6:4, 5:6; Colossians 2:12, 3:1). The Bible uses the term "angel" (a heavenly body) clearly and primarily to denote messengers or ambassadors of God with such Scripture references as Revelations 4:5, which indicates their duty i n heaven to praise God (Psalm 103:20), to do God's will (St. Matthew L8:IO), and to behold His face. But since heaven must come down to earth, they also have a mission to earth. The Bible indicates that they accompanied God in the Creation, and also that they will accompany Christ in His return in Glory. Demons denote unclean or evil spirits; they are sometimes called devils or demonic beings. They are evil spirits, belonging to the unseen or spiritual realm, embodied in human beings. The Old Testament refers to the prince of demons, sometimes called Satan (adversary) or Devil, as having power and wisdom, taking the habitation of other forms such as the serpent (Genesis 3:1). The New Testament speaks of the Devil as Tempter (St. Matthew 4:3), and it goes on to tell the works of Satan, the Devil, and demons as combating righteousness and good in any form, proving to be an adversary to the saints. Their chief power is exercised to destroy the mission of Jesus Christ. It can well be said that the Christian Church believes in demons, Satan, and devils. We believe in their power and purpose. We believe they can be subdued and conquered as in the commandment to the believer by Jesus. "In my name they shall cast out Satan and the work of the Devil and to resist him and then he will flee (WITHDRAW) from you" (St. Mark 16:17). The Church forms a spiritual unity of which Christ is the divine head. It is animated by one Spirit, the Spirit of Christ. It professes one faith, shares one hope, and serves one King. It is the citadel of the truth and God's agency for communicating to believers all spiritual blessings. The Church then is the object of our faith rather than of knowledge. The name of our Church, "CHURCH OF GOD IN CHRIST," is supported by 1 Thessalonians 2:14 and other passages in the Pauline Epistles. The word "CHURCH" or "EKKLESIA" was first applied to the Christian society by Jesus Christ in St. Matthew 16:18, the occasion being that of His benediction of Peter at Caesarea Philippi. We believe in the second coming of Christ; that He shall come from heaven to earth, personally, bodily, visibly (Acts 1:11; Titus 2:11-13; St. Matthew 16:27, 24:30, 25:30; Luke 21:27; John 1:14, 17; Titus 2:11); and that the Church, the bride, will be caught up to meet Him in the air (1 Thessalonians 4:16-17). We admonish all who have this hope to purify themselves as He is pure. The Church Of God In Christ believes in and practices Divine Healing. It is a commandment of Jesus to the Apostles (St. Mark 16:18). Jesus affirms His teachings on healing by explaining to His disciples, who were to be Apostles, that healing the afflicted is by faith (St. Luke 9:40-41). Therefore, we believe that healing by faith in God has scriptural support and ordained authority. St. James's writings in his epistle encourage Elders to pray for the sick, lay hands upon them and to anoint them with oil, and state that prayers with faith shall heal the sick and the Lord shall raise them up. Healing is still practiced widely and frequently in the Church Of God In Christ, and testimonies of healing in our Church testify to this fact. The Church Of God In Christ believes that miracles occur to convince people that the Bible is God's Word. A miracle can be defined as an extraordinary visible act of divine power, wrought by the efficient agency of the will of God, which has as its final cause the vindication of the righteousness of God's Word. We believe that the works of God, which were performed during the beginnings of Christianity, do and will occur even today where God is preached, faith in Christ is exercised, the Holy Ghost is active, and the Gospel is promulgated in the truth (Acts 5:15, 6:8, 9:40; Luke 4:36, 7:14-15, 5:5-6; St. Mark 14:15). It is generally admitted that for an ordinance to be valid, it must have been instituted by Christ. When we speak of ordinances of the church, we are speaking of those instituted by Christ, in which by sensible signs the grace of God in Christ and the benefits of the covenant of grace are represented, sealed, and applied to believers, and these in turn give expression to their faith and allegiance to God. The Church Of God In Christ recognizes three ordinances as having been instituted by Christ himself and, therefore, are binding upon the church practice. The Lord's Supper symbolizes the Lord's death and suffering for the benefit and in the place of His people. It also symbolizes the believer's participation in the crucified Christ. It represents not only the death of Christ as the object of faith, which unites the believers to Christ, but also the effect of this act as the giving of life, strength, and joy to the soul. The communicant by faith enters into a special spiritual union of one's soul with the glorified Christ. Foot washing is practiced and recognized as an ordinance in our Church because Christ, by His example, showed that humility characterized greatness in the kingdom of God, and that service rendered to others gave evidence that humility, motivated by love, exists. These services are held subsequent to the Lord's Supper; however, its regularity is left to the discretion of the pastor in charge. However, we do not believe that water baptism alone is a means of salvation but is an outward demonstration that one has already had a conversion experience and has accepted Christ as his personal Savior. As Pentecostals, we practice immersion in preference to sprinkling because immersion corresponds more closely to the death, burial, and resurrection of our Lord (Colossians 2:12). It also symbolizes regeneration and purification more than! any other mode. Therefore, we practice immersion as our mode of baptism. We believe that we should use the Baptismal Formula given to us by Christ for all "...IN THE NAME OF THE FATHER, AND OF THE SON, AND OF THE HOLY GHOST..." (Matthew 28:19). The Bible teaches and demands doctrinal agreement and speaks otitis “The pillar and ground of truth” (I Tim. 3:15, 4:13). In Ephesians 4, Paul stresses the unity of the Church of God and gives further emphasis in verse 15: “That we be no longer children, tossed to and fro and carried about with every wind of doctrine.” The apostle admonishes the Corinthians, that they “All speak the same thing, and that there be no divisions among them” (I Cor. I: I0). The person and work of Christ—Christ's Deity, incarnation, atonement, resurrection, and Second Coming are denied. The doctrines of grace relating to our salvation. The Witnesses teach the believer does not have everlasting life now but only at a future time. This is contrary to John 5:24. The future wicked shall have another chance to receive Christ as Savior during the Millennium and under circumstances more favorable than those of today. This is contrary to the teachings in Psalms 9:17; Gal. 5:19- 21; John 5:28-29; Hebrews 9:27. The sinful nature of Jesus while in the flesh. This is contrary to the teachings in Heb. 4:15; I Peter 2:21-22; I John 3-5. The atonement was not completed when Christ suffered and bled on Calvary. This is contrary to the teachings in Heb. 7:27, 9:24-28, 1:10, 12, 14. Eternal life is only a future hope. This is contrary to the teachings in John 5:24. Eternal life is obtained by one's “perfect obedience” to the laws of Moses. This is contrary to the teachings in John 6:47-60; John 3:14-15,36; John 17:3. The law is still in force—that it has never been annulled. This is contrary to the teachings in Romans 6:14; 7:4-6. We teach Christ by His death perfectly fulfilled the law and thus terminated ill.
Only by observing the seventh day of the week as the Sabbath may one be sealed with the seal of the living God and experience true peace within his soul. This is contrary to the teachings in Hebrews 7:22; Matt 12:1-8; Mark 16:9; I Cor. 16:2. That through the perfection of the body, man will become equal with God, with power over mind and body. The Unity School of Christianity, like Christian Science, out of which it sprang, hardly mentions Christ's virgin birth, cross, bodily resurrection, or His Second Coming, except to “spiritualize” and explain away these divine truths. Peter was the first pope, therefore, apostolic succession. This is contrary to the Bible or history for there is no record of Peter ever being in Rome. According to Gal. 2:7-8 and Acts 23:1, Peter was the Apostle of the circumcision and worked among the Jews while Paul, not Peter, went to Rome. Peter was a married man (Mark 1:29-31) yet they forbid their priests to marry. (Lev. 1:5, 13; I Tim. 4:1- 4; II Tim 4:1-3). Worship of image or relics. This is contrary to Exodus 20:3-5. Purgatory and prayers for the dead. This is contrary to Hebrews 9:27. Concerning prayers, read St. Luke 16:19-31. Abraham could not help the dead; David knew it was no use praying for the dead (II Samuel 12:16, 16, 19, 22, 23). Proper name or title for priest is “Father”. This is contrary to St. Matthew 23:9. Mary, the mother of Jesus, is used as a Mediator between God and man. This is contrary to I Timothy 2:5,6; I John 2:1-3; Acts 4:10, 12; John 14:6; II Cor. 5:21. Christ is spoken of as the Son of God from a reincarnation standpoint in John 1:14,18; Gal. 4:2, 4. He is called the “only begotten” Son of God or of the Father, a term that would not apply to Him if he were the Son of God only in an official or in an ethical sense, John 1:14,18; 3:16,18; I John 4:9. Compare II Samuel 7:14; Job 2:1; Psalm 2:7 Luke 3:38; John 1:12. While Jesus teaches His disciples to speak of God and to address Him as “our Father”, He Himself speaks of Him and addresses Him simply as “Father” or “my Father”, and thereby shows that He was conscious of a unique relationship to the Father. Matt. 6:9; 7:21; John 20:17. According to Matt. 11:27, Jesus as the Son of God claims unique knowledge of God, a knowledge such as no one can possess. The Jews certainly understood Jesus to claim that He was the Son of God in a metaphysical sense, for they regarded the manner in which He spoke of Himself as the Son of God as blasphemy. Matt. 26:63; John 5:18; 10:36. In a Messianic sense, some passages apply the name “Son of God” to Christ as Mediator, Matt. 8:29; 26:63 (Where the meaning is combined with the other) Matt. 27:40; John 1:49; 11:27. This Messiah-Sonship is related to the original Sonship of Christ. It was only because He was the eternal Son of God that He could be called the Son of God as Messiah. It is from the point of view this Messiah-Sonship that God is even called the Father of the Son, II Cor. 11:31; Eph. 1:3, and is sometimes mentioned as God in distinction from the Lord. John 17:3; I Cor. 8:6; Eph. 4:5, 6. In a nativist sense, the name “Son of God” is given to Jesus because He owed His birth to the paternity of God. He was begotten, according to His human nature, by the supernatural operation of the Holy Ghost. This is clearly taught in Luke 1:32, 35.